Adding more gutter holders, hangers, or brackets can help you maintain a strong gutter system. Do your gutters need a workout program? If they are leaking, sagging, and warped, you need to remedy the situation before those gutters turn your home and yard into problem areas. What can you do to make sure that your gutters are working well? Strong gutters are one of the first lines of defense for your home. When it is pouring rain, you need to ensure that your home does not suffer water damage. You need a strong roof and gutters that move water smoothly into the downspouts and away from your home. If you don’t have those strong gutters, what will happen? Warped or sagging gutters can develop leaks or overflow. Water can splash or slide down siding and damage it, and it can also pool on the ground and make the soil near your foundation less stable. Of course, there’s also the damage to your landscaping to consider. You must have strong, stable gutters to protect your home, but how can you achieve this goal? 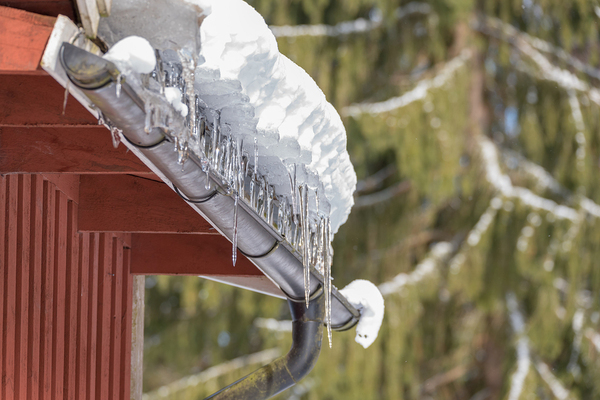 Preventing snow and ice accumulation can help you maintain strong gutters. How can you make your gutters strong and able to move water away from your home? Consider your gutter materials and quality. If your gutters were poorly installed from cheap materials, then you might need to consider getting new gutters. As Harry Helmet says, “your gutter is only as good as the way it’s installed.” That’s why we have a triple lifetime warranty on our products. Add more support to your gutters. For instance, gutters should have some kind of hanger, bracket, or other methods of support consistently over the length of the gutter. If you find that your gutters are sagging, this could be due to inadequate structural support. Install gutter guards. These gutter covers provide coverage to your gutters during all seasons of the year. They prevent debris from accumulating in the gutter. In turn, gutters don’t warp and sag as easily. Add gutter heating. If you want to reduce the weight on your gutters, you also need to consider the weight of the snow. Gutter heat will melt the snow and ice in your gutters, removing that load. Avoid sectional gutters. Instead, look to seamless gutters. Seamless gutters are made to fit your roof. They don’t have as many seams as sectional gutters, which means that there are fewer places where the gutter can warp and leak. 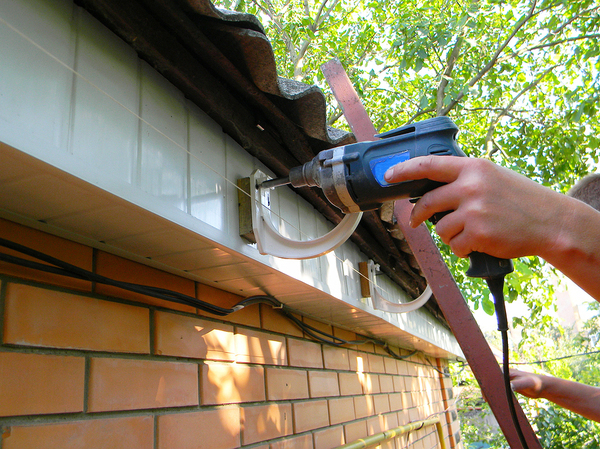 The Family Handyman recommends that you “minimize joints; assemble strong, sleek-looking seams” for a stronger gutter. Make sure that you have a strong infrastructure supporting your gutters. For instance, if your roof has a lot of leaks or pooling water, look into roof repair or roof replacement. If your downspouts are clogged and leaking, get new ones. Your gutters are only one part of a larger home water system. Look for gutter damage. If you have a problem with branches dropping from trees in your yard, consider pruning them as well. You can have a strong, stable gutter system. It’s just a matter of using the right materials and workmanship, caring for your gutters, and ensuring that they care for themselves by adding gutter guards and gutter heat.